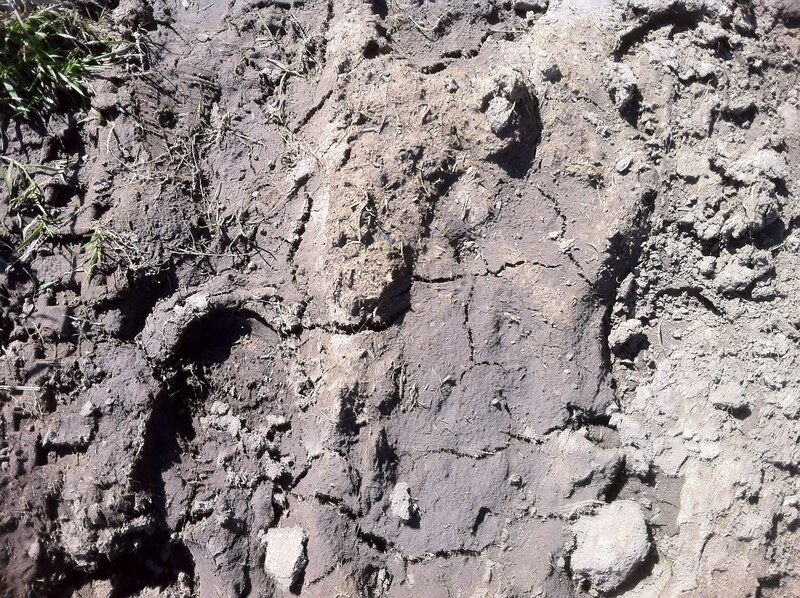 Whilst walking the familiar paths today, underfoot, the mud has dried in places to a soft sludge, sinking slightly under the pressure of my foot. This is in sharp contrast to the sloppy quagmire and rivulets that were evident only a week or two ago. In racing terms, this would be considered ‘good to firm’ going. Then I wondered if there was an equivalent terrain rating for walkers? I know walks are rated in terms of difficulty such as rocky, uneven tracks and steep inclines, but not the actual physical sensation of walking over bare, ‘earthen’ tracks which change from day-to-day according to the weather and the seasons. If there is then I’m not aware of it. So how could you rate it? What measure could you use – at a glance – if someone wanted a daily update? Lets take a closer look. The earth beneath our feet is made up with a mixture of fine-grained particles of rock (sand and clay) and other organic matter (dying vegetation, decomposing animals and other organic waste products). We tend to take it for granted but if you think about it, soil is one of the most important substances on our planet. Along with water, clean air and sunlight, it forms the basic matrix for life itself. Walkers, or anyone else who crosses over this important matrix, are connected to it in a fundamental way. Forget about its importance on a global level at our peril. Perhaps we can become more aware of it by noticing its condition? 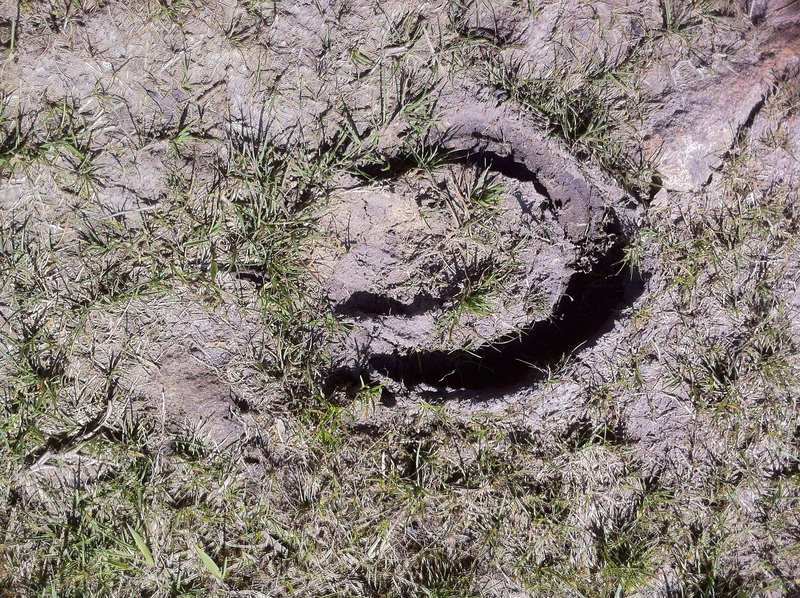 A hoof-print divot made when the mud was soft, now baked solid. 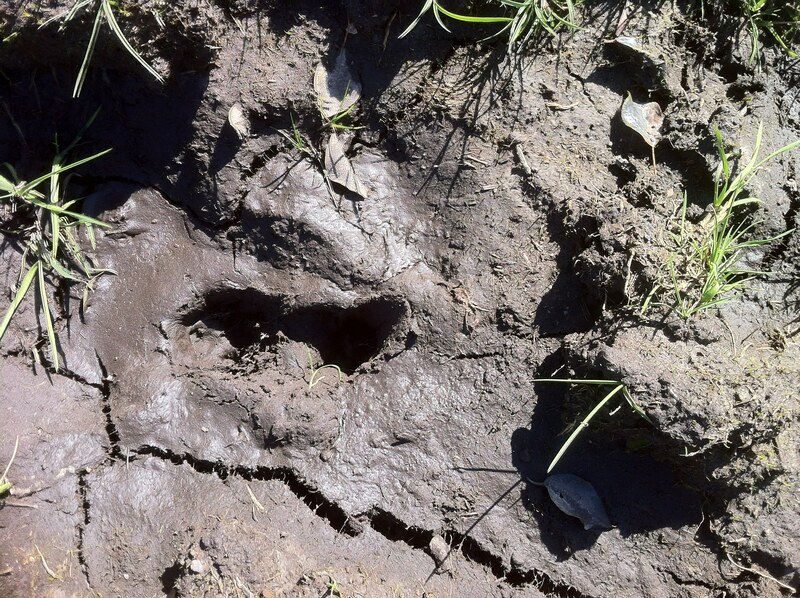 So for walkers, how could you rate it in terms of a sensation underfoot? When soil gets wet, it turns to mud. If you think of mud as being the consistency of fudge, what about a ‘fudge factor’? You could rate it in terms of squelchyness from 1 to 10. 1 being arid, desert conditions or solid concrete; 5 – the midway point – ‘good to firm’ and in ‘fudgey’ terms a perfect eating consistency. 10 would represent the danger of being completely submerged in the gloop (Dawn French style). The two extremes of the scale represent a significant danger to life. In Cornwall, our soil has a built-in colour-code on a scale of white to a rich burnt umber: chalky white in the driest of conditions to a rich black in its most saturated state. Somewhere in the middle is a furry-chocolate grey. Dry, dust-bowl conditions, cracked earth. Concrete and tarmac. Ground rock hard, dried and baked to a crust. Ideal medium for making earth, pigment-based paints. Firm underfoot but not hard. Deeper ‘cut’ in the ground when pressure applied. Ground wetter with small puddles appearing. In racing terms, good to soft. Quagmire conditions and danger of loosing footwear in the bog. Worst case scenario. Fine grained sand, silt or clay and water forming colloidal mass causing quicksand conditions.